Recent headlines suggest that blockchain technology is revolutionizing financial services. JP Morgan Chase, Barclays, Commonwealth Bank, Wells Fargo and several other leading banks are using the digital ledger technology to conduct equity swaps, cross-border trades, and other transactions. You might think that blockchain has gone mainstream. Not so fast, says former UBS CIO Oliver Bussmann, who claims it may take banks two years to run blockchain in production due to regulatory hurdles, a lack of standards and other stumbling blocks. “This is real, this will come but in a very regulated environment. We will go through a lot of validation,” says Bussmann, who jumpstarted blockchain efforts when he was leading IT at the Swiss bank last year. Former UBS CIO Oliver Bussmann. A web-based digital ledger, blockchain makes copies of data for all of the relevant stakeholders in a transaction, using cryptography to secure data and ensure trust. Its decentralized architecture and encryption makes it difficult to crack so it is viewed as a credible tool to facilitate the exchange of monies or verify the provenance of goods moving through a supply chain. Blockain's authentication capabilities also make it a potential cornerstone technology for the internet of things, in which everyday machines are subject to influence and control by malicious code. Bussmann is bullish on the technology, comparing the blockchain’s arrival to the emergence of the internet itself more than two decades ago. He says banks can use the technology to slash processing and infrastructure costs while accelerating transaction processing. He says that blockchain transactions could reduce time and costs for cross-border trades from days and $25 each to minutes for as little as $1 each. "This will disrupt the financial services industry,” Bussmann says. However, Bussmann is also a pragmatist, citing recent IBM research which found that 15 percent of 200 banks – or just 30 out of 200 expect to launch blockchain solutions into commercial production in 2017. Bussmann says the lack of messaging and business standards as well as formats for shared data, business processes, roles and responsibilities to address complex financial transactions will hinder adoption in the near term. 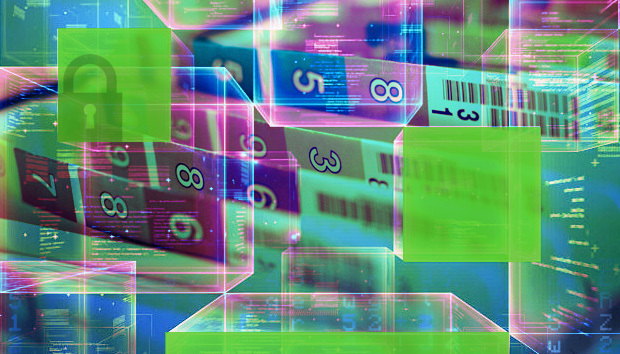 "Blockchain is not only a technology play, it is also a change of business process and business logic, which involve multiple parties," Bussmann says. Banks will also need to wait for regulatory approval for collecting, storing and sharing customer data. Cross-border trades will prove particularly challenging, as they will require approval between regulators from different countries, few of which are aligned on the nascent technology. For instance, Bussmann notes that regulators in U.K. and Singapore and other countries are farther along in their understanding and acceptance of blockchain than the United States. Bussmann says legal firms in the U.S. don’t anticipate production blockchain solutions in the country until 2018. Moreover, embracing emerging technologies require rigorous validation, verification and signoff by internal compliance teams, which are bound to be extra wary of the technology in light of the hack against blockchain VC firm The DAO, in which perpetrators exploited a vulnerability to steal $60 million worth of Ether digital currency. Boards’ heightened sensitivity around cybersecurity will slow the timeline for most banks. "This is totally new technology and has to be bulletproof," Bussmann says. Bussmann says blockchain is more likely to be launched more fully into commercial production in supply chain, real estate, healthcare and governments, particularly for implementations of IoT and other solutions. Goldman Sachs projects blockchain will yield billions of dollars in both incremental revenue and cost savings in the so-called sharing economy, insurance and utility sectors over the next decade. Bussman’s former employer UBS is working with IBM to replicate the entire lifecycle of an international trade transaction on Hyperledger's Fabric blockchain. Commonwealth Bank of Australia and Wells Fargo & Co completed the first cross-border transaction between banks using multiple blockchain applications, resulting in a shipment of cotton to China from the United States. Eight financial services companies, including JPMorgan Chase & Co and Barclays Bank, completed the test of an equity swaps post-trade transaction using blockchain. Bussmann says such scenarios are encouraging and essential for financial services organizations that wish to become competitive early in blockchain. "The earlier they are part of the learning curve the earlier they can learn about blockchain's limits and benefits to reduce uncertainty, which will attract business,” Bussmann says. David Schatsky, a managing director at Deloitte. Other consultants following blockchain closely agree. David Schatsky, a managing director at Deloitte, says the fact that the financial services and banking sectors are putting the most money into blockchain means they will likely yield the most production and applications of the technology than any other industry. However, Schatsky says that banks will have to overcome the obvious regulatory and compliance hurdles, not to mention legacy trade finance and payment systems that have served them well for decades. "If you have a system that works, the hurdles that are involved in replacing it are so high that it takes a lot to make a bank want to rip out a system and replace it,” Schatsky says. Zilvinas Bareisis, an analyst at banking consultancy Celent, says that the hype surrounding blockchain far exceeds most enterprises’ and regulators’ grasp; not enough people understand the technology. For instance, regulators and businesses alike will have to carefully assess and govern shared digital ledgers, where multiple parties can access customer data. "Blockchain as we know it is going to be very hard for banks to adopt,” Bareisis says.